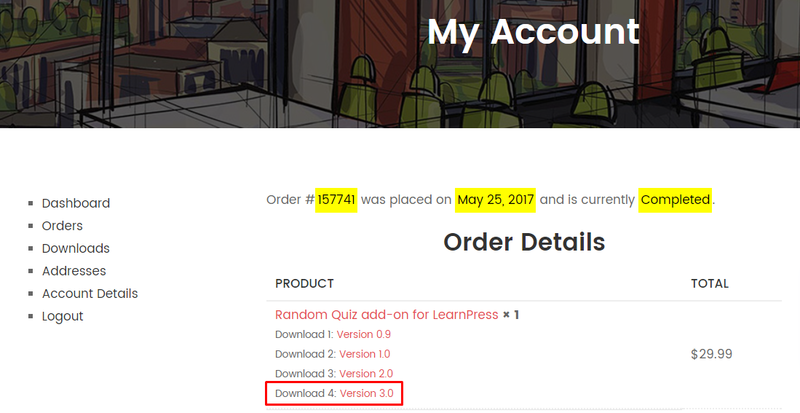 Frontend Editor add-on for LearnPress enable your courses to be edited from the frontend. Your instructors doesn't need to go to the WP Dashboard to create and edit courses anymore with Frontend Editor add-on. 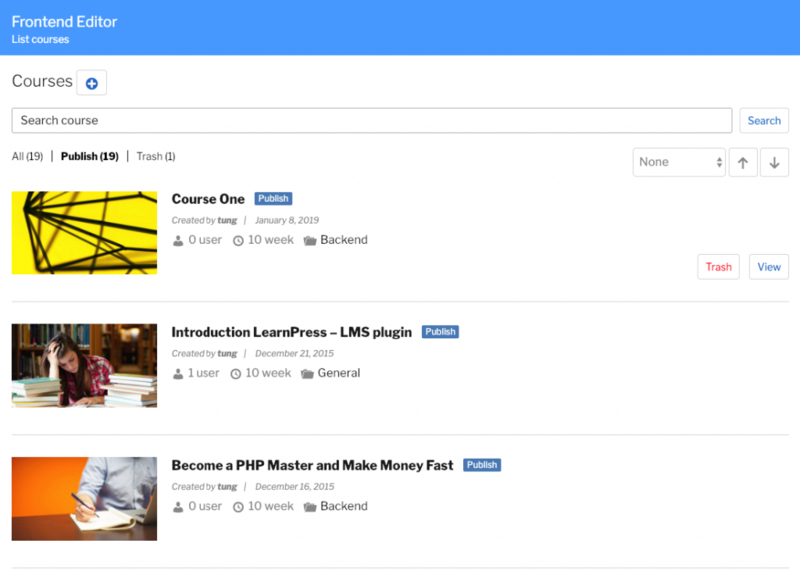 Create a page where all instructors can access and edit courses on frontend, without having to access WP Dashboard. 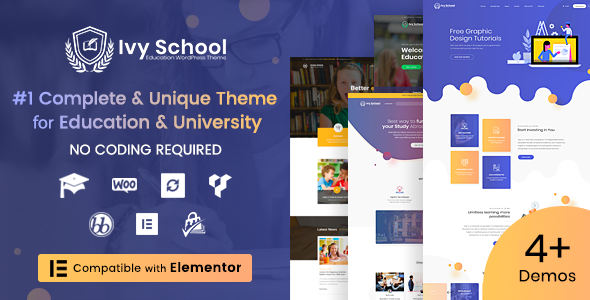 You can create course, edit course, create lessons, edit lessons, configure course setting with this frontend editor add-on. 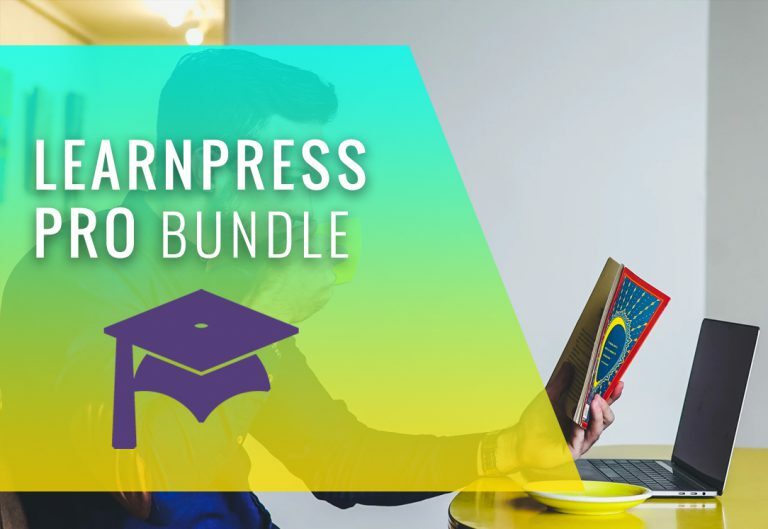 To improve the site’s user experience, the Front-end Editor Add-on for LearnPress let instructors create and edit LearnPress courses right from the front-end without having to access the WP Dashboard. Front-end Editor Add-on will create a new page from the front-end where instructors can use to start managing and configurating their courses. 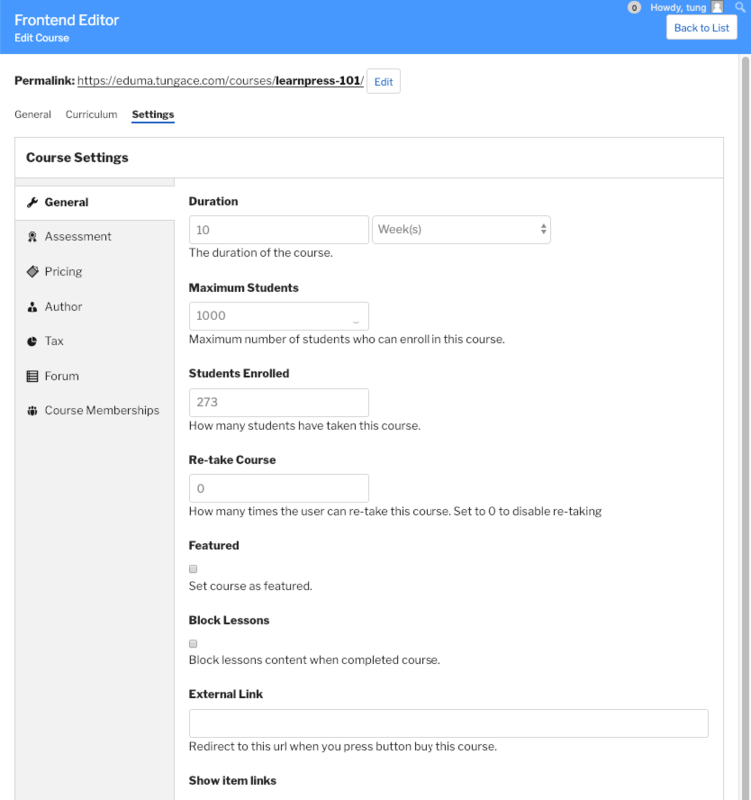 This page will only let instructors to change and manage what they are authorized to without being able to see other settings of the website. This will help a lot with your site’s security and also help improving the user experience of your website. The front-end editor page is light weight and very easy to use. 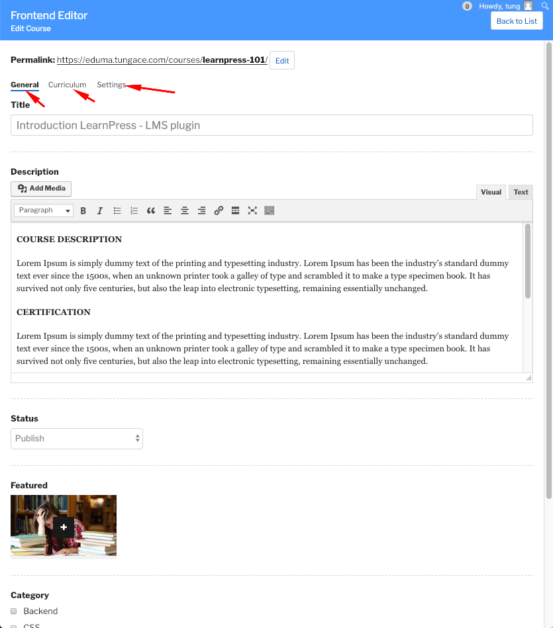 After installing and activating the Frontend Editor for LearnPress LMS successfully, you will need to go to your LearnPress settings to create the Frontend Editor Page so your instructors can access it. Then, Create a page by typing the name of the page in the Dashboard Page setting. In this example, I used the page title “FrontendEditor-Page”. You can use any page title you want. You can only use the title in your language. Then click on OK[Enter] to create the page and click on the button Save Settings to save it. 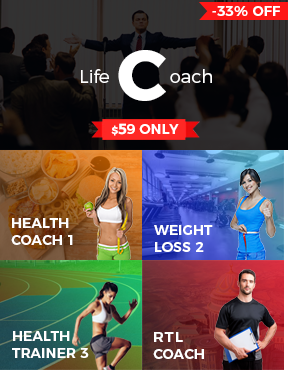 The main page displays the number of users to the course, some basic information about it and it lists all the courses available that the instructor can manage. You can also search and do some course filter here. 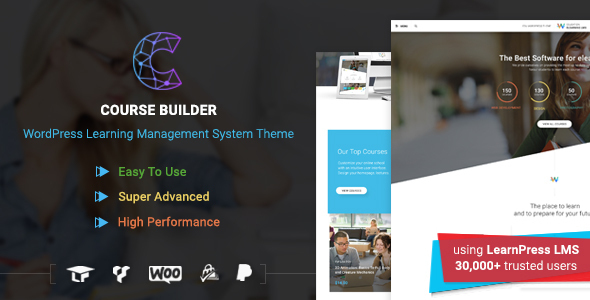 General Tab: Where we configure some general settings of the course like the title, description, feature image and category, etc. 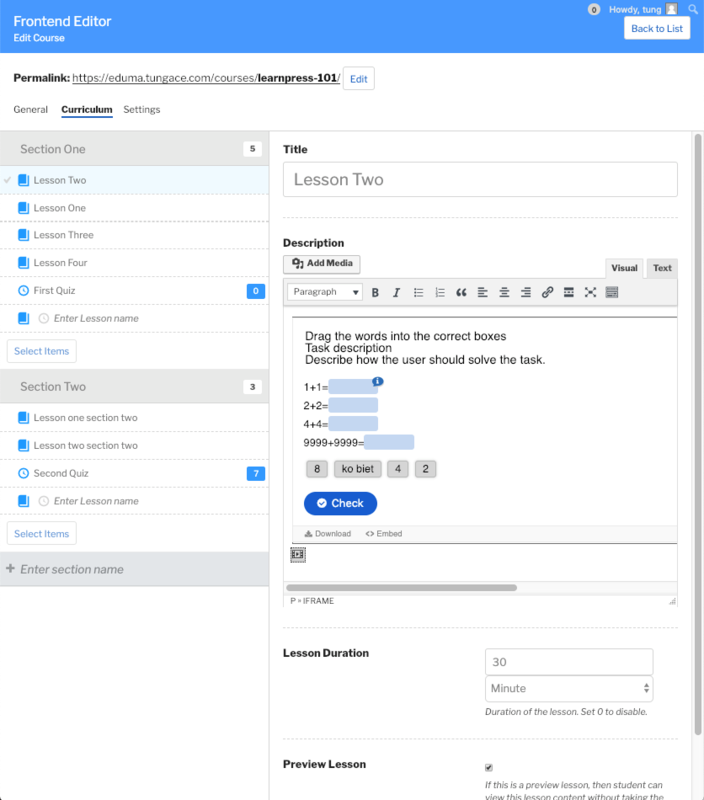 Curriculum: The curriculum of the course, where you add/remove/edit course’s lesson and quiz. 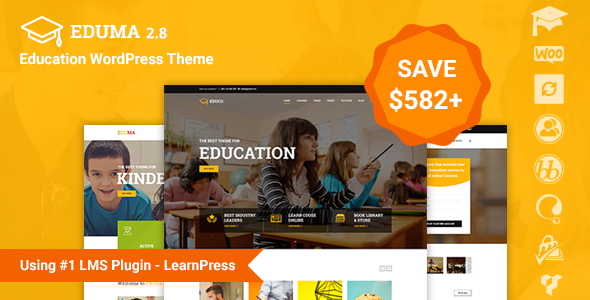 Settings: Basic settings of the course, and most importantly, the settings with other LearnPress add-ons.